As this book is about the "Fürstinnen" of Thurn und Taxis, it's nonsense to dedicate a whole chapter to Helene. She was only hereditary princess and later the regent for her sons. I guess the author wrote about her, because she is Elisabeth's sister and therefore well-known. This means a lot of people will buy this book and editor and author will earn money. Someone should write a whole biography about Helene. Any information about their marriages and life in Germany? And what about Infanta Maria Theresia of Portugal (1881-1945) who married Prince Karl Ludwig von Thurn und Taxis? [As this book is about the "Fürstinnen" of Thurn und Taxis, it's nonsense to dedicate a whole chapter to Helene. She was only hereditary princess and later the regent for her sons. I guess the author wrote about her, because she is Elisabeth's sister and therefore well-known. This means a lot of people will buy this book and editor and author will earn money. You are right, Marie Charlotte. I bought the book thinking there would be a lot of information and new pictures about Helene and her daughter in law Margarethe and I have to say I was dissapointed. Someone should have full access to the Thurn und Taxis archives and write whole biographies about this two fascinating Thurn und Taxis Princesses. Indeed...Although I heard the archieves in Regensburg is not easy access for researchers. Princess Ingia of Urach, Countess of Württemberg died on Wednesday, September 17, 2008, at her home in Aufkirchen, near Starnberg, Upper Bavaria. She was 83-years-old. Princess Iniga was born on August 25, 1925 at Schloss Niederaichbach to Princess Elisabeth of Luxembourg and Prince Ludwig Philipp of Thurn und Taxis. The cause of death was cancer. She died in the arms of her son, Inigo. The princess' elder brother, Anselm, was killed in the second world war. On May 24, 1948, Princess Iniga married Prince Eberhard von Urach at Regensburg. Prince Eberhard was the 8th child of Wilhelm, Duke of Urach and his first wife, Duchess Amelie of Bavaria. Prince Eberhard died in 1969. 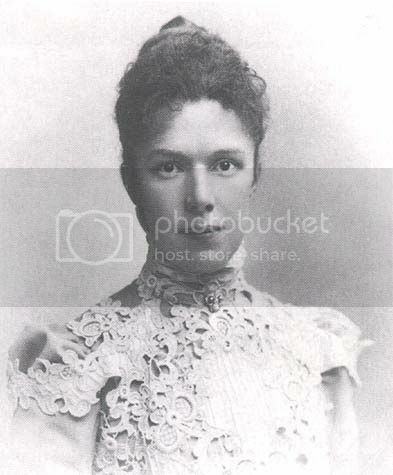 Princess Iniga is survived by five children, Princess Amelie, Mrs. von Einseidel, Princess Elisabeth, Prince Karl Anselm, Wilhelm, Duke of Urach and Prince Inigo, and their families. @Paola and MarieCharlotte: You are not the only one, who are disappointed. I was so glad that there is a new book, not a single book about Nene, but a new book. I think the authors have not so much free space to write a good book. Marita Panzer wrote that the correspondence of Helene is destroyed. The family wants a flawless image of the Thurn and Taxis. And the most inventory are in Regensburg or München. So the most historians need the agreement of Gloria Taxis. Who do you reckon is the lady with the couple Franz Josef - D.Isabel ? Any of her daughters ? Do you have pictures of her daughters and their marriages ? Also of Infanta D.Maria Anna's wedding and their daughters' ? I don´t think it´s their daughter.